Aleksandar Nikolov and Toscho Ilyeff have pleaded guilty to stealing bank customers’ identities using skimming devices at ATM machines. They are facing up to 10 years in prison on an access device fraud count and a mandatory two years for the aggravated identity theft. 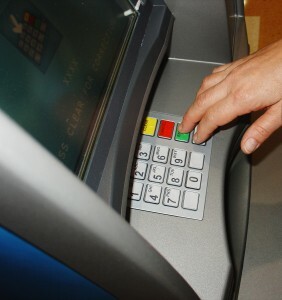 Nikolov and Ilyeff installed skimming devices onto the banks’ ATMs to capture the customers’ account numbers as they inserted their debit cards and installed a wireless camera to record their pin numbers. They re-encoded this information onto VISA gift cards or debit cards, then used the new cards to withdraw cash from the victims’ accounts. They stole about $112,000 by stealing more than 800 identities throughout Miami-Dade, Broward and Palm Beach counties. Fraud expert Linda Webb, aka The Fraud Dog says that even old fraud scams like ATM skimming is alive and well here in America. Here is a wonderful link that outlines how these ATM skimmers work. http://www.youtube.com/watch?v=gWY290MaeBg. ATM skimmers and credit card skimmers are very cheap to buy on the internet, making this fraud easy to commit. Awareness is key, and if it doesn’t look right, then be sure to report it, says Linda Webb, The Fraud Dog.